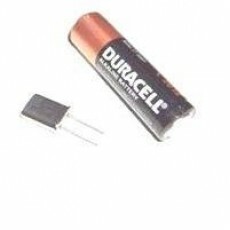 *Crystals to suit Codan 7727 / 6801 / 8727 and other HF radios with the 1650KHz offset. *You will receive two Crystals-both 8022KHz (main VKS737 channel) and 5455KHz (Secondary VKS737 channel). *Supplied with 4x ceramic capacitors (39pf & 82pf) to fit under tuning coils. *Also comes with a basic installation guide. *Note that these crystals are in the smaller 10mm wide package-The leads are still plenty long enough to mount into the circuit board.